How Does Kwame Building Group Help The Community? One of the principles upon which Kwame Building Group was founded was to provide opportunities for growth, development and leadership to young professionals. As an extension of that principle – and in alignment with our holistic approach to sustainability – KWAME supports various education and mentorship focused organizations. In addition, through the Kwame Foundation, we endow scholarships at various institutions of higher learning across the country in order to assist in removing the financial barrier that exists for many minority and first generation college students. Kwame Foundation has hosted an annual Golf Tournament since 2003 to raise funds for education. The Kwame Foundation now endows approximately $150,000 a year in scholarships and grants at universities that improve educational opportunities for minorities. The 14th Annual Kwame Foundation Golf Tournament will be held on August 23, 2018, at the Norman K. Probstein Golf Course at Forest Park in St. Louis. 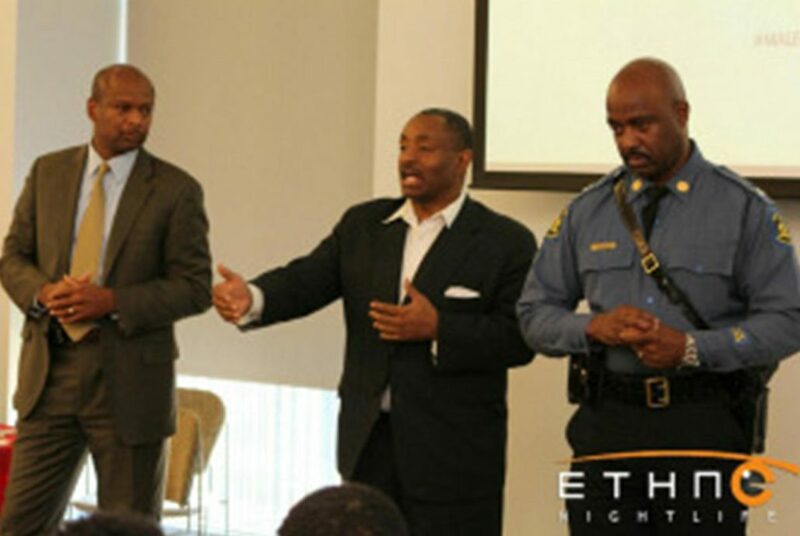 Kwame Building Group has set the pace for mentoring youth in St. Louis and the other communities across the country of which we are corporate members. 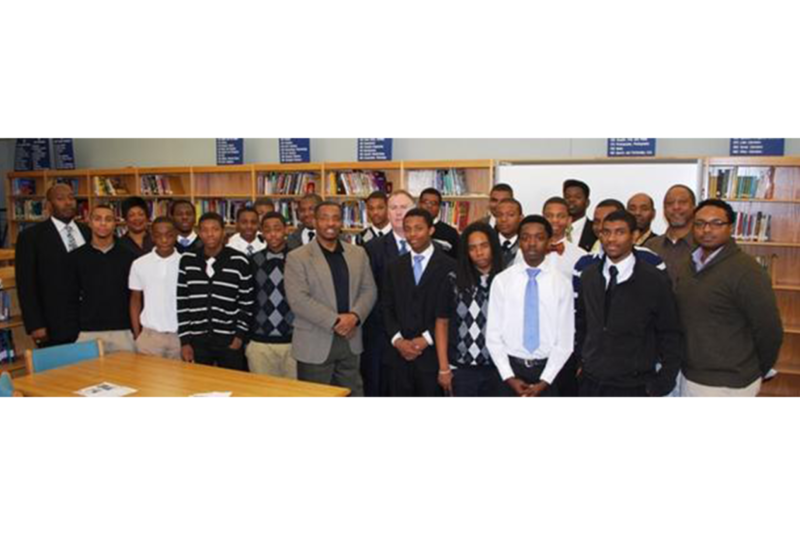 KWAME helped to establish the Gentleman’s Club, a mentoring program for young men at Carnahan High School. Many of our staff are involved in the program, spending an afternoon each week inspiring the students to be gentlemen and leaders. KWAME also sponsors literacy, education and mentorship programs at numerous other elementary and secondary schools in St. Louis, including Woodword Elementary School. The Tyrone Thompson Institute for Nonviolence (TTIN) offers a new approach to school suspensions, which often lead to poor academic performance, lost school funding and an increase in juvenile delinquency and dropouts. Through the program, St. Louis Community College students tutor and mentor suspended students in the St. Louis Public School District, through eighth grade. The Kwame Foundation provides the vision, funding, adult mentors and hope. The St. Louis School District sets aside tutoring space and provides support. St. Louis Community College houses the program at their William J. Harrison Education Center in north St. Louis City and helps train the college students. Everyone wins. Suspended students get one-on-one attention in their own school settings. College students learn about community service, tutoring and mentoring. Parents build parenting skills at required one-day workshops. And the local schools retain state funding. For more information or to volunteer as a mentor, call Sonja Branscomb at 314.862.5344 or sonja@kwamefoundation.org. Kwame Foundation recognizes the value and importance of obtaining a college degree. We want to help increase the number of African-American students who enroll in, and graduate from, a college or university. 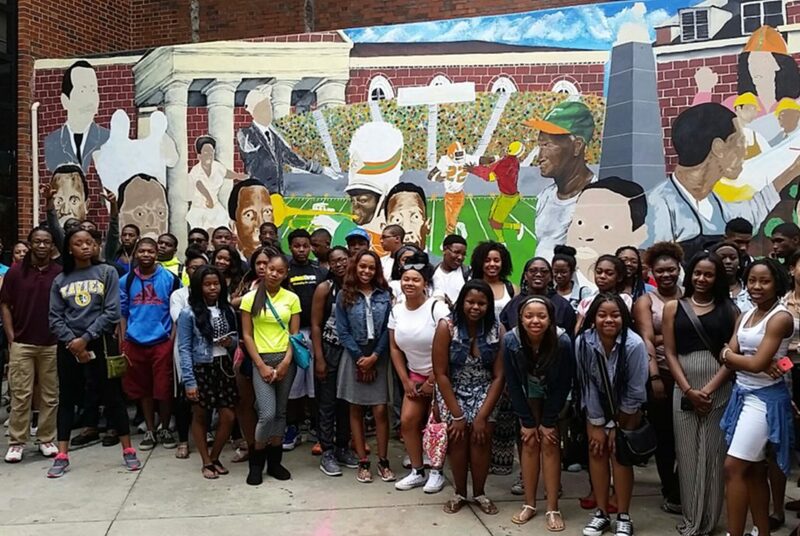 Annually, we take approximately 50 high school students to tour multiple Historically Black Colleges & Universities (HBCUs). During this weeklong tour, we introduce students to campus life and provide them with a series of informational sessions. We strive to offer the opportunities to make on-site inquires of college officials, while simultaneously matching institutions of higher learning with the student’s educational goals and career aspirations. We believe it will motivate and inspire them to achieve their goals and aspirations. We support the students as they explore their future beyond their neighborhoods and communities, with hopes that this tour will allow them to realize that their life goals are attainable. This tour without question is a life changing experience. KWAME is proud to support quality not-for-profit organizations in each of the communities across the nation that we call home. Our employees – through their donation of money, time or talents – are committed to ensuring that our communities are better because of KWAME‘s presence and our commitment to them.